Thanks to the many that have volunteered to help build this Habitat for Humanity house for The Palffy family! Please make note of the following info when you come to help build. The house is located at: 120 Lyndee Lane. Woodstock, GA 30188. 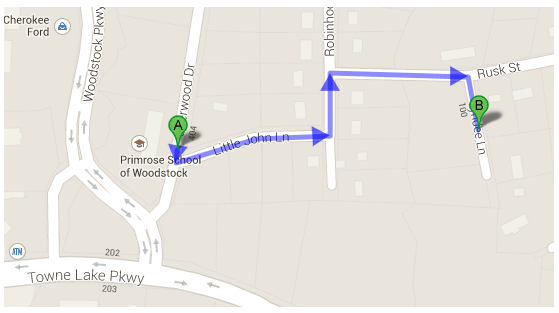 It is located just outside of DT Woodstock off Rusk Street. Lyndee Lane is a very short dead end street. There is VERY LIMITED parking on this street. We have arrangements with the PRIMROSE School located at: www.primrosewoodstock.com, 401 Sherwood Dr Woodstock, GA 30188. This is only .3 miles from the Build site. We ask that you Car Pool with your friends, family and or fellow Realtors. If you can’t, then please park at the Primrose School. Please arrive between 7:30 am -7:45 am. Coffee, snacks, water and Lunch will be provided. NOT Necessary, but If you have the following, please bring them: Gloves, tool belt, safety goggles, sunscreen, sunglasses, hat, etc. WEAR Work shoes, NO SANDLES, comfortable clothes that you do not mind getting dirty. Park at Primrose School. We will have someone there to drive you to the site between 7:30-8am. It is ONLY .3 miles from the Build site. THANKS!!! Your time is Greatly Appreciated!! REALTORS® ROCK! !